“…it is very interesting to note that many of the authentic ancient Macedonian words, according to their etymology and pronunciation, have a striking resemblance to the appropriate words used in the modern Macedonian language (and other so called “Slav”[sic] languages). “Pyri(as). The root of this name could be connected to the noun “pir” (merriment). The name Piri is present in todays’ Macedonian onomasticon.” Quote taken from: “Similarities between ancient Macedonian and today’s’ Macedonian Culture (Linguistics and Onomastics)” by Aleksandar Donski, celebrity historian from FYROM. Pyrrias was not a very common Greek name, but at the same time it was not exclusive to any part of Greece either. We find this name from Peloponnesus to Macedonia and from Sicily to the Hellenistic East. Pyrias of the aforementioned myth was from Ithaca, Ulysses’ island, but a more flesh and bone Pyrrias appears in the historical record. It was in the year 401BC, right after the battle of Cunaxa. He was an Arcadian from central Peloponnese. He was stranded, like all the other myriad (10 thousand) Greek mercenaries, in the midst of Mesopotamia (modern Iraq) then part of the huge and powerful Persian Empire. The Greek Mercenaries had been in the pay of Cyrus who had revolted against his brother, the king of Persia, Artaxarxes. In the Cunaxa battle Cyrus was killed, leaving his Greek mercenaries stranded deep inside enemy territory. When their military leaders from their Spartan general Clearchos down to the most junior officers were massacred in a treacherous banquet plot where king Artaxerxes had invited them the situation for the Greek rank and file hoplites became desperate. 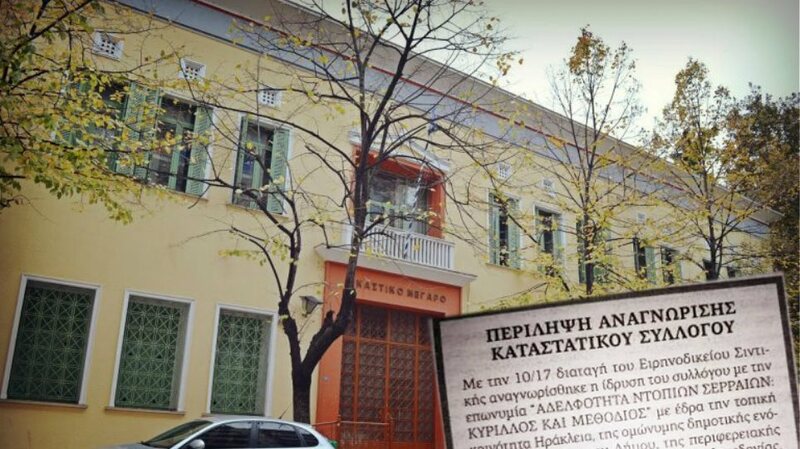 ἐκ τούτου οἱ μὲν ἥσυχοι προῆγον, ὁ δὲ τρεῖς ἀφελὼν τὰς τελευταίας τάξεις ἀνὰ διακοσίους ἄνδρας τὴν μὲν ἐπὶ τὸ δεξιὸν ἐπέτρεψεν ἐφέπεσθαι ἀπολιπόντας ὡς πλέθρον· Σαμόλας Ἀχαιὸς ταύτης ἦρχε τῆς τάξεως· τὴν δ᾽ ἐπὶ τῶι μέσωι ἐχώρισεν ἕπεσθαι· Πυρρίας Ἀρκὰς ταύτης ἦρχε· τὴν δὲ μίαν ἐπὶ τῶι εὐωνύμωι· Φρασίας Ἀθηναῖος ταύτηι ἐφειστήκει. Beyond this point some advanced quietly, while he, withdrawing the rear-guard battalions, two hundred men strong each, allowed the one to the right flank to follow the main body by a distance of one plethron (100 feet). Samolas the Achaean was the leader of this taxis. The one to the center he placed to a position following them. Pyrrias the Arcadian was leader of it. And the one to the left flank was commanded by Phrasias the Athenian. A more famous (or infamous) Pyrrias is the Aetolian general who led the Aetolian army, aided by Romans legions, into the first battle of Lamia, which was fought in 209BC between the forces of Philip V of Macedon and the Aetolians. Pyrrias lost to Philip V two battles in that engagement. His name incidentally is alternatively also spelled in Roman letters as Pyrrhias, to account for the pronunciation of the Greek double “rr”, though in the Greek original the spelling is still Πυρρίας. IG IX,2 1311, Perrhaibia — Azoros: Elasson — date? (Portrait of a Polis: Lato Pros Kamara (Crete) in the Late Second Century B. C., by Martha W. Baldwin Bowsky © 1989 American School of Classical Studies at Athens). IC II vi 7, Crete, W. — Kantanos — III/IIa. Metrodorou of Sinope; IV7e; found at Değirmendere: *AJP 1935, pp. In the same area, another Greek inscription, written several hundred years before the 7th cAD influx of the Slavic tribe of the Smoljani who colonized that area of Macedonian Paeonia, speaks of a Pyrrias, who was the son of a man with a similar, almost identical name: Pyrreios/Πύρρειος. 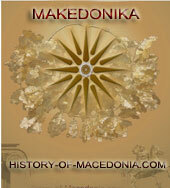 Makedonia (Sintike) — Parthikopolis (Sandanski) — date? Having sailed around the Mediterranean, in search of Greek men named Pyrrias, we once again go back to Greek literature to find the name Pyrrias in one of Menander´s comedies. Menander/Menandros/Μένανδρος is the 4th cBC (342–291 BC) Athenian dramatist, and student of Theophrastus (who in turn was a student of Aristotle). Theophrastos was the one who instructed him in poetry and philosophy. Menandros was possibly the best representative of what has been termed the New Comedy. 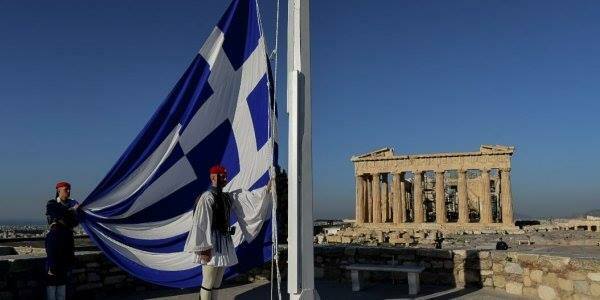 The Athenian people, in appreciation, erected Menandros´ statue by the theater of Dionysos, just below the Acropolis. In his Dyscolos/Δύσκολος, (translated as the Grouch, or the Misanthrope – the exact translation from the Greek means “the difficult one”), was found in a well preserved papyrus in Egypt and was brought out into the public eye in 1957.
τῆς οἰκίας ὅστις ποτ’ ἐστίν. of the household, whoever it is. (PYRRIAS) Let me through, watch out, everybody get out of the way. He’s crazy, the guy who’s chasing me, crazy. (PYRRIAS) Dirt, stones … thrown at me. (SOSISTRATOS) Thrown at you? Where? You’re crazy. (PYRRIAS) But I thought he was. (PYRRIAS) Let’s get out of here, I’m begging you. Dyscolos was written and performed in Athens in 316 BC. This is about a thousand years before any of the Slavic tribes established a foothold in the lower Balkans. To the left is ΠΟΛΥTΕΡΠΟΣ/Polyterpos, the dance and music teacher, playing the diaulos flute. In ancient Greek we find the word Pyridromos / Πυρίδρομος the Firetrailer which was one of Zeus’ prosonyms. Pyra/Πυρά is the place where the fire is lit, the pyre, while Pyria/Πυρία is the steam bath, the ancient Greek version of Sauna, where water was thrown on rocks that had been burned in fire and then placed on a ceramic dish in the middle of a tight space, usually a tent, to create steam. Pyrigenes /Πυριγενης is the one born of fire and Pyrhoo / Πυρόω means to burn and the Spartan Fire-dance was called Pyricheios/Πυρίχειος. These are all fire-related words, from the Greek word for fire: Pyr/Πύρ. 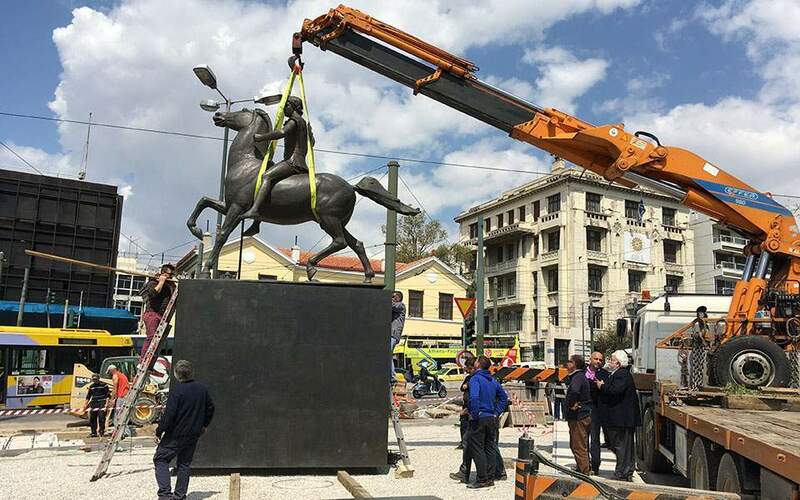 We have all the human sympathy in the world for the pitiful predicament in which the professional history falsifiers from Skopje (in the Former Yugoslav Republic that wants to claim for itself the name Macedonia) are in. 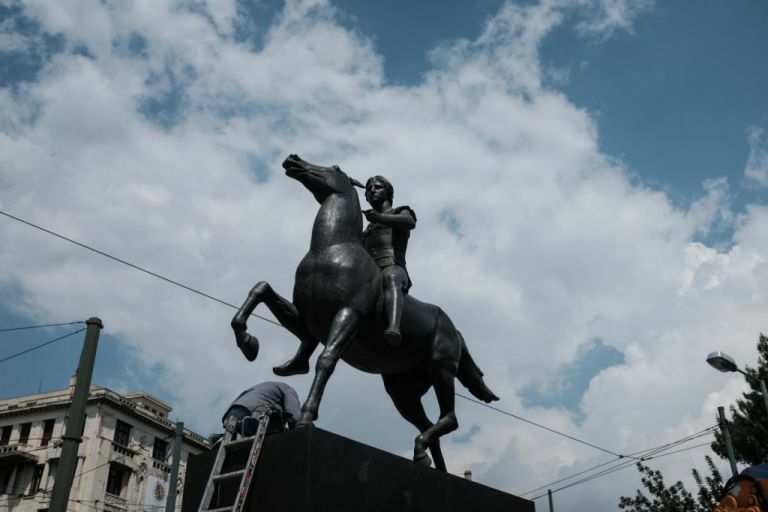 They desperately try to turn history and linguistics on their head and make a Balkan circus out of the truth in their attempt to present black as white and day as night. Trying to convince the world with arguments like: “Pyri(as). The root of this name could be connected to the noun “pir” (merriment). The name Piri is present in todays’ Macedonian onomasticon”, is plainly laughable. These arguments can easily convince some ill-educated, narrow-minded VMRO party cadre who has been fed Yugoslavic-Makedonski propaganda since kindergarten. It can also convince the hard-core converts to “Greater Makedonija” irredentism in the Slavomakedonijan coffeehouses of Toronto or Sydney. They are not convincing anyone else, not anyone serious and educated anyway, and for sure not even their authors. I explain: Someone who is standing on solid ground does use words like “could be” when making an argument such as “this name COULD BE connected”. You simply say: “this name IS connected”. When you know that you are right you do not mince your words and you do not use words like maybe, would, possibly, or could. When someone is lying, on the other hand, he needs to make rounds and rounds to weasel himself out of the hole he has dug himself into, joyfully pretending to act merry and jolly, as if participating in a party, a “pir”, a “merriment”. When you speak the truth there is no need for dance and song. All you need to do is simply state the facts and bring your documentation to the table. Now back to Pyr/Πύρ. The Indo-european root word *pe’h2ur (Pokorny: peu̯ōr) means: fire. *Pe’h2ur gives us the Armenian word for fire Hur, the Hittite word Pa-ah̯-h̯ur, the East Asian Tocharian A word for fire Por and the Tocharian B word Puwar, the old Czech word Púř, the Italic Umbrian word Pir, the Greek word Pyr, from which Pyrrias is derived but also the Germanic words Fiur, Fúrr, and Fyr from which the Old English word Fȳr and the modern English word for Fire are derived. Πυρρίας/Pyrrias (or in Latin spelling Pyrrhias, also found spelled as ΠυρFίας/PyrFias and Πυρίας/Pyrias) is, as we have amply proven above, a very well attested Greek name which means “The One of Fire”. Other Greek names of fire-pyr-related etymology, with the same or similar meaning are: Πυρρίχιος/Pyrichios, Πύρριχος/Pyrichos, Πύριχος/Pyrichos, Πυρίχη/Pyriche, Πύρων/Pyron, Πύρρα/Pyrra, Πύρρος/Pyrros/Pyrrhos, Πυρρᾶς/Pyrras, Πυρραῖος/Pyrraios, Πυρίδας/Pyridas, and also in combination with other words we also find: Πύρρανθος/Pyranthos, Πυρόμαχως/Pyromachos, Πυρϝαλίων/PyrFalion, Αἰγιπύρας/Aigipyras, Πυρβαλίων/Pyrbalion, Ζώπυρος/Zopyros, Ζωπυρίων/Zopyrion, Ζωπυρείνα/Zopyreina, Ευπυρίδης/Eypyrides, Pyrimachos/Πυρίμαχος and Πυροφόρος/Pyrophoros, among many others. Происхождение слова «пирог» связывается с одним из обозначений огня в индоевропейском языке. The origin of the word Pirog is derived from a root that is indicative of fire in the Indo-European Language. Представляется более чем вероятным, что и русские слова”пир”, “пиршество”, вопреки существующим объяснениям этимологов, скорее всего, ведут свое происхождение от протолексемы, означавшей в нерасчлененных еще протославянских и протогреческом языках — “огонь”. It seems that the Russian words “пир”/Pir and “пиршество”/Pirshestvo despite various explanations that etymologists offered on them, most likely derive their origins from Protoslavic and Protohellenic root words which mean…”fire”. Instead of trying to make Pyrrias fit into a linguistic mold he never belonged to, maybe we need to re-define pir, after all. I wonder what our friends from Skopje would think of this.